Calvin L. Smith: Review of "Israel, God's Servant"
As its title indicates, the book argues the Jews and Israel are, corporately, God’s servant (Is 41:8, 44:1, 45:4). Such a calling entails being the “bearer of God’s revelation to the world” (Lk 2:32, Jn 4:22), “a light in darkness mediating the revelation and saving grace of God to the nations” (55). Moreover, “[God] needed one people to represent all peoples, so that their sin could represent all sin” (124). How, then, could Israel possibly be discarded by God to be superseded by the Church? Over twelve chapters David Torrance and George Taylor (a pseudonym) explore the current Middle East crisis, the land from a theological perspective, the Church’s history of anti-Semitism, Islam and its worldview, eschatology, and key biblical passages relating to the theme of Israel. There are also seven useful appendices, including several revealing primary sources from Hamas and PLO rarely discussed by a Western liberal media yet which shed important light on the current conflict. Can be located in a number of core resentments; a resentment of the Jews as proof of the existence of God; a resentment of the way in which they depict our sinful nature; a resentment of the way the Jews testify to our dependence on God’s grace; and a resentment of the way in which God has prospered and privileged the Jews at certain times. (69). Thus the enemies of God hate Israel because they bear witness of him (Ps 83:2-4). It is not insignificant, Torrance and Taylor point out, how the twentieth century’s two most anti-Christian ideologies – Fascism and Communism – targeted the Jews. To these we might add a third, Islamism, which seeks Israel’s annihilation. Israel, God’s Servant also deals at length with the biblical theology theme of the land, challenging the view that these Old Testament promises are spiritualised in the New in favour of a worldwide kingdom of God. When the disciples asked the resurrected Jesus if he was about to restore the kingdom to Israel (Ac 1:6), he did not say this was an invalid question; his response suggests quite the opposite. That is not to say the authors totally reject a spiritualised promise, yet for them the land remains an important theological issue, differentiating between an “inner covenant with Israel and the land and the wider covenant with all humankind and all creation in the ongoing redeeming purposes of God” (59). Yet unlike Christian Zionism, whose uncompromising stance on the land and its borders at times echoes the most trenchant Likud policy of a Greater Israel, Torrance and Taylor suggest God is not overly concerned about exact borders, even suggesting the 1947 UN partition plan gave Israel too much land for its population size (11). Yet neither could a Jewish state exist away from its ancestral homeland, for example in Uganda or Argentina as originally posited. God’s covenant with Israel is intimately associated with the Holy Land. Their discussion of eschatology, which warns against sensationalism and eschews both narrow dispensationalism and postmillennialism, similarly defies Christian Zionist stereotypes and parodies. Their main thrust is that Judaeo-Christian teaching has always emphasised how history is heading towards a culmination of God’s plan, in which Israel plays a central role. Arguably, Torrance’s and Taylor’s view of the land is overplayed somewhat when they state Israel’s removal from the land “destroys, or very largely destroys, her national identity and threatens her very life and existence” (55). After all, despite two thousand years of wandering the Jews have retained a strong sense of identity, though memories of their ancestral homeland undoubtedly played an important part in the process. 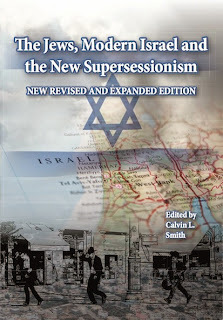 Moreover, the authors’ controversial claim that most anti-Zionism is anti-Semitic will undoubtedly enrage those supercessionists who are particularly critical of Israel. That is not to say Israeli politics cannot be criticised, but the authors contend it is quite another thing to criticise Zionism as an ideology. Interestingly, they cite Martin Luther King, who echoed this very same view, in support. They also condemn the Church’s long history of anti-Semitism, which has made it so much more difficult for Jews to come to Christ today. Israel, God’s Servant offers an overall treatment of the subject rather than focusing on a particular aspect of it. Some may regard this as a shortfall at the expense of depth, and indeed the book, which originally derived out of various conference addresses, is not always academic in its presentation. For example some useful facts and statements are not always sourced, while the political analysis is brief, though useful. Nonetheless this broad approach, together with an eminently readable style in fact represents the book’s strength, providing an accessible theological introduction which is far removed from some of the more simplistic and naïve pro-Israel popular efforts. Moreover, Torrance and Taylor avoid pejorative language and display genuine sensitivity towards both Jew and Palestinian which some authors on both sides of the debate do well to note. The authors maintain God loves Jew and Palestinian equally, as well as recognising very real problems on the ground that have caught up innocent Palestinians in violence not of their making, whether by Israel or surrounding Arab countries who have exploited the plight of Palestinians for their own purposes. Neither does this book exhibit blind support for Israel, stating her people do not currently rely on God, to whom they need to turn back. Such a sensitive approach is likely born out of a pastoral approach to the crisis (Torrance is a retired Church of Scotland minister), as well as the authors’ view that only a spiritual solution will solve the current crisis. The book represents a useful biblical theology contribution which helps to bring balance to a debate which all too often is acrimonious and polarised. It will benefit both lay reader and theological student alike.